We catch up with Grasshoper Manufacture CEO Suda51 to see what he's got coming up and find out about his growing studio's ambitions. As one of Japan's smaller independents with a mere 48 employees, the company has focussed on consoles that are less resource-intensive and relatively easy to develop for, i.e. the Nintendo DS, PS2 and Wii. The latter in particular has proven accommodating, as it shares many development assets with the previous generation of Nintendo machines. "Before the next generation of consoles arrived, we were mainly developing for the GameCube," says Suda. "It was natural to move onto the Wii, because the developing tools were more or less the same. 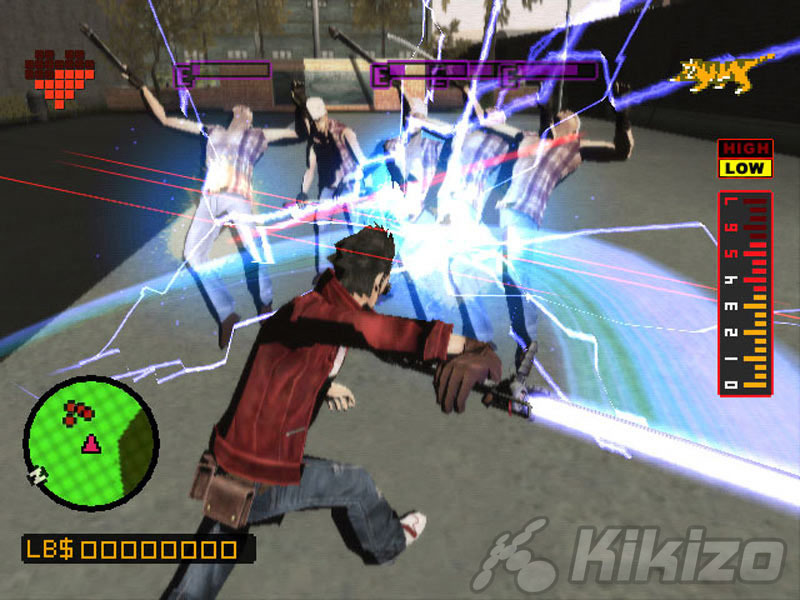 And No More Heroes was a success too," he adds, perhaps recalling his own incendiary (and subsequently retracted) comments on Nintendo's hardware strategy following dismal initial sales of that game. "So that's why I want to focus on the Wii." Grasshopper's adherence to the Wii can be attributed to more than just pragmatism. Suda is enthused by the still largely unexploited potential of the motion-sensitive remote, and expresses a guarded interest in the console's swelling roster of peripherals: "I'm considering using them, especially the Wii Motion Plus. I'm not sure yet, but if Nintendo can make something good out of it, I'll try it!" Like many of his peers, eastern and western, Suda is keen on the idea of download distribution, taking the retailer out of the equation. "It's a good thing. I want to sell the game directly to the user. There's nobody in between, just me and the consumer." He also approves of the associated, growing taste for user-generated content, recently epitomised by Media Molecule's criminally under-selling LittleBigPlanet, though he naturally asserts the primacy of preset content. "I haven't tried LittleBigPlanet yet so I don't really know how good it is, but I think it's not just good because of the choice of making a level - making a level is the fun part of the game, it's not really the same as creating the game from scratch. If you look at somebody trying to make a level it's really fun." Game-making is a long and arduous business, in other words - just because you can glue bits of sponge together at Stephen Fry's direction doesn't qualify you to be a designer. Resorting vacuously to general topics, we ask the Grasshopper CEO how he thinks the industry has changed this decade past across the globe, as one of the very few so-called "art house" developers to have found worldwide appeal. Suda's answer is that the medium's increasing global presence (and an associated tightening of the strings between Japan and other territories) has paradoxically acted to reinforce regional distinctiveness. "Ten years ago the worldwide market had more or less the same trend. More recently you can see that each country is trying to push its own culture, its own history. So to some extent it's more like the movie business now. For example, in Japan movies from Japanese production companies are more popular than Hollywood movies. The Dark Knight was a big success in the US, but in Japan it was so-so. And it's not just movies - I think the videogame business is going more or less in the same direction." On a light-hearted note, which of Grasshopper Manufacture's games is the company CEO most proud of? Like the better man he is, Suda refuses to discriminate. "When I make games, I put my whole heart into the game. So I can't really say there's one I would call favourite, because for me, they're all actually really good games. According to me, anyway! If I had to pick one it would be No More Heroes. In terms of flagship titles in the west, killer7 is probably the most important." He doesn't hesitate, however, when asked about his favourite game from another developer. "Burnout Paradise." Not exactly the answer we were expecting, but one Suda sticks by. "Everything in the game is perfect. I'd like to have a chat with the director of Burnout Paradise." Suda51 Photo credit: Hot Grill.